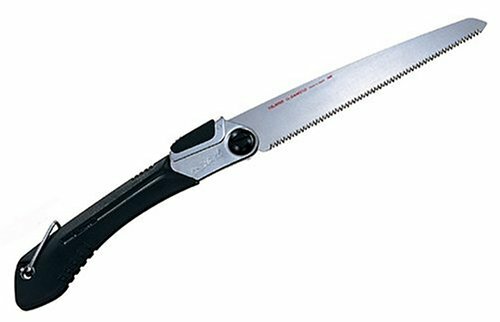 Our Razorsaw 7" Double Edge Ryoba Saw made by Gyokucho has a blade length of 7" and an overall length of 15". The cross cut side has 19tpi, and the rip side has 9 tpi. 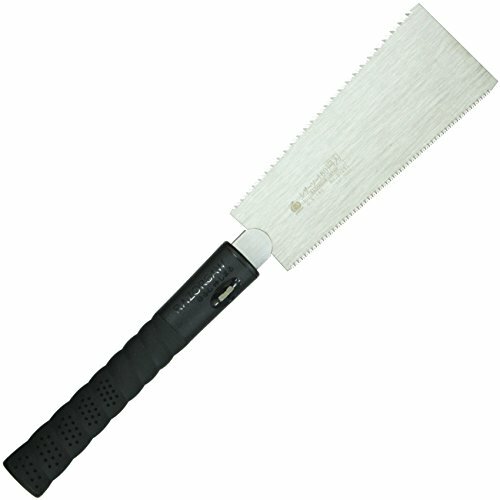 A unique feature of the Gyokucho Ryoba Saws is the handle which can be tilted in relation to the blade. This allows access into areas otherwise awkward or impossible to reach. Carpenters, restoration workers and boat builders will find this feature particularly useful. The teeth are impulse hardened for extended wear. The handles are wrapped with rattan for a secure grip. The various blades can be interchanged. This Gyokucho saw has been designed to easily fit into a tool box or work bag. Use #155638 for replacement blade. This IRWIN General Carpentry Pull Saw is ideal for cross-cuts and ripping and features a flexible blade for flush cuts. 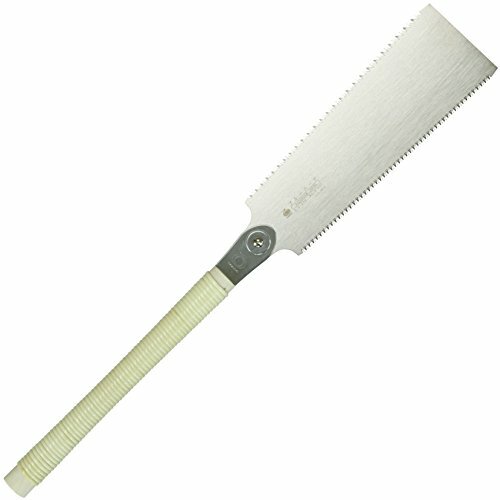 The pull saw is great for exterior trim work or cutting the overhang of a gable soffit. A ProTouch grip helps add comfort, even during long use. This Flexible Fine-Cut Saw Is Great For Cabinet Work, Flush Cutting (Dowels), General Fine Cutting, Mitering, Plywood, Stair Systems, And Undercuts (Door Jam/Casings). It Can Be Used For Flexed Or Flush Cutting And Features The Pull-To-Cut Method For Faster, Cleaner, Easier, And Safer Sawing. The Pull-Saw Teeth Have Three Cutting Edges That Are Precision Diamond-Cut, Not Merely Stamp-Cut. 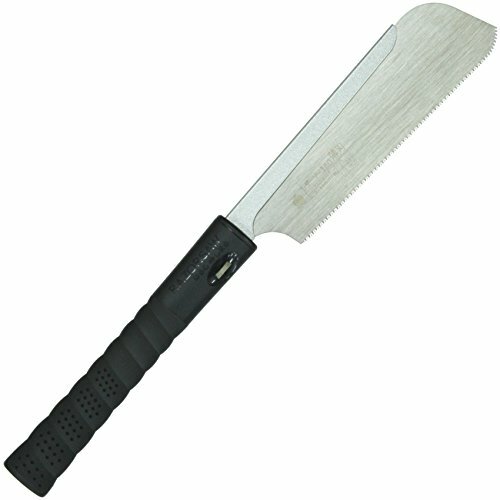 The Saw Handle Is Weather-Resistant High-Impact Abs Plastic. A Red Push Button, Which Works On A Single-Push Action, Easily Engages Or Releases The Blade For Replacement Or For Compact Storage. The 9-1/2-Inch Blade Has 17-Teeth Per-Inch On One Side And 9 Per-Inch On The Other. This IRWIN General Carpentry Pull Saw is ideal for cross-cuts and ripping and features a flexible blade for flush cuts. The pull saw is great for cleaning out the 90° circular saw cut on a stair stringer and bird's mouth rafter cut. A ProTouch grip helps add comfort, even during long use.